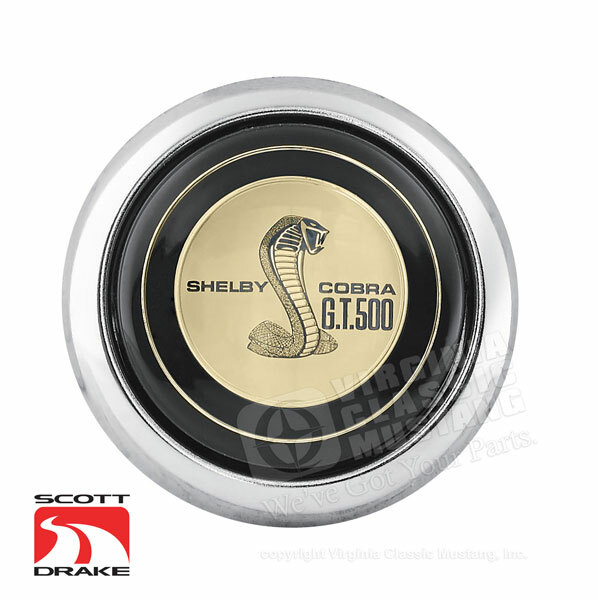 1967 Shelby GT500 concours quality reproduction horn button. This authentic reproduction is precise down to the smallest detail - just like the originals found on 1967 Shelby’s. Each horn button is fully functional and features a show quality chrome plated steel bezel topped with a vacuum metalized acrylic lens and a flawless stamped aluminum emblem. This officially licensed horn button is only compatible with our IN-7391 genuine wood steering wheels or original 1967 Shelby steering wheels.